A renovation project in the eastern city of Yantai aims to restore two historic city blocks without letting them become mere commercial gimmicks. 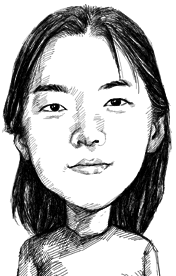 Gu Ling is a writer, translator, editor, and curator focusing on individual creativity, institutional ecologies and interdisciplinary practices. Yantai, located in eastern China’s Shandong province, is a comparatively wealthy coastal city with a population of over 7 million. Like many cities in China, Yantai’s urban landmarks are its large shopping mall in Wanda Square and its largest skyscraper, Yantai Shimao No. 1 The Harbour, which is home to a Hilton hotel. Yantai’s Wanda Square is just like the 200 or so other Wanda Squares in China — it has a similar layout, sells similar brands, and is similarly overcrowded. Just a block away is one of Yantai’s historical streets, Suochengli, which was built in the Ming Dynasty but has since fallen into disrepair through long-standing neglect. Today, it is a jumble of poorly kept residences, some rented by migrant workers and others owned by elderly locals who can’t afford to move away. Meanwhile, Guangren Road, located at the foot of the looming Hilton skyscraper, is a reminder of Yantai’s modern history. After the Treaty of Tianjin was signed in 1858, Yantai became one of the ports opened to foreign trade under Qing imperial rule. Thanks to the geographical advantages of the city’s port — for instance, its deep water, which doesn’t freeze over in winter — Yantai rapidly developed into one of northern China’s most important commercial and industrial hubs. Guangren Road was home to China’s first clock-making factory, winery, and bowling alley, as well as a power plant that provided the entire city with electricity as early as the beginning of the 20th century. To this day, the clocks and wine produced in Yantai are famous throughout China. In addition to playing an important role in the city’s commerce and industry, in 1879, Guangren Road also became home to the Chefoo School, reputed to be “the best English school east of the Suez Canal.” The Protestant school, which was built by the China Inland Mission — now known as OMF International — for the children of foreign missionaries, offers a comprehensive English-style boarding school education that prepares students for university studies at the likes of Cambridge and Oxford. Guangren Road was renovated in 2007 and became a sophisticated commercial pedestrian street. Its historical European-style buildings were transformed, one after the other, into seafood restaurants, luxury clubs, and beauty salons. The high cost of many of these facilities means that this block has become an exclusive area for the wealthy. In the daytime, the street bustles with photo-snapping tourists and jogging locals, but at night, it becomes a place where the affluent social elite wine and dine, completely cut off from the reality of most of Yantai’s residents. In China’s modern cities, culture and tradition struggle to survive in a profit-driven commercial environment. The problems that Suochengli and Guangren Road have faced are perhaps common among historic blocks in many of China’s large cities. Either they have fallen into disrepair, or they have lost their original historical and cultural significance as a result of excessive commercialization. In 2015, Yantai native Tan Fang returned to the city and launched the Kwan-Yen Project, named after the road’s former Romanized spelling. Her business partner, Yu Yongbo, grew up on Guangren Road and is the commercial tenant of the entire block, but is anxious about its dwindling population. Out of a shared sense of responsibility toward their hometown, their love for traditional culture, and their similar commercial visions, Tan and Yu formulated a plan to turn Guangren Road and Suochengli into cultural landmarks for the public to enjoy. The ambitious plan was based on a combination of local and imported culture, incorporating elements from China’s most dynamic cities, such as public forums, lectures, and arts and crafts markets. To realize its goals, the Kwan-Yen Project had to build two important institutions: The first was the Chefoo Institute and Library, which today provides education and research facilities in the hope of emulating the Chefoo School’s former glory. The second was the Suochengli Neighborhood Library. The neighborhood library, which was converted from an ancestral temple, opened in July this year. The library is free to use and invites elderly local residents to come and record oral accounts of what the block used to be like. It also stores books related to Yantai’s history, documents local traditions, and conducts its own research. Additionally, a new UFO-like building has appeared on the garden strip of Guangren Road. This exhibition hall, called People’s Station, is designed to serve the functions of the Chefoo Institute while the institute is still under construction. Since the two buildings opened, an endless stream of visitors has signaled that the Kwan-Yen Project is succeeding in its aim to generate public participation. Although the project has good intentions, it remains to be seen whether it can transform the luxury commerce strip into a culturally rich landmark. Tan and Yu hope that these cultural institutions will encourage the growth of creative businesses on the block as well as attract new businesses to the area, but they do not yet have a clear investment plan, and these kinds of urban renewal projects require a great deal of funding. Currently, the pair are totally reliant on the income they earn from commercial and residential rental. They have applied for government subsidies to relieve some of the financial pressure but are yet to see their application approved. Many urban renewal projects in China use culture as a means of increasing an area’s real estate prices and commercial prospects. The problem, however, is that these projects commonly fail to differentiate between commerce and culture, reducing the traditions they attempt to revive to mere business gimmicks. Although the Kwan-Yen Project’s first priority is to uncover the historical and cultural value of the block, Tan and Yu know that they must generate profit to be sustainable. In China’s modern cities, culture and tradition struggle to survive in a profit-driven commercial environment. Although more and more businesspeople are aware of the commercial value of cultural traditions, city planners have yet to answer the question of how to use commerce to keep history and culture alive. Yet the Kwan-Yen Project stands a better chance of flourishing than most. To start with, it is located in an area already bursting with consumer culture. Moreover, it is deeply rooted in Yantai’s modern history as a treaty port. Finally, as Yantai develops and its residents become richer — the city’s GDP figures are closing in on those of Beijing — more and more locals are likely to have the leisure time to get involved in their city’s cultural offerings. For now, though, the project must walk a proverbial tightrope between cultural protection and commercial viability. Zhou Xiang, a media project manager at Shanghai United Media Group, also contributed to this article. This entry was posted in ARTS, 社论 and tagged Chefoo, yantai. Bookmark the permalink.